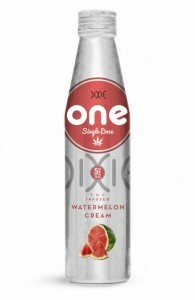 Featured Image: Delicious THC Infused Cannabis Beverages (Watermelon flavor shown). Dixie Elixirs™ (THC-infused soda) are handcrafted and formulated for optimal cannabinoid delivery. Carbonation supports rapid THC delivery and refreshing flavors ensure that all you have to do is sit back with friends and enjoy. Elixirs are available in 5mg, 40mg and 75mg and come in a variety of expertly developed flavors. SOURCE: Dixie Elixirs webpage. (Fair Use). Marijuana is growing up. As Colorado and Washington’s recreational marijuana industries blossom and new markets in Oregon and Alaska begin to take shape, so-called ganjapreneurs are looking for ways to take cannabis mainstream. Before long, they hope, marijuana products will be as widely available as alcohol — and just as socially acceptable.